The beginning of the year is always filled with so much hope and excitement for the future. It’s a clean slate to start anew. Definitely lots of new changes happening in my life. 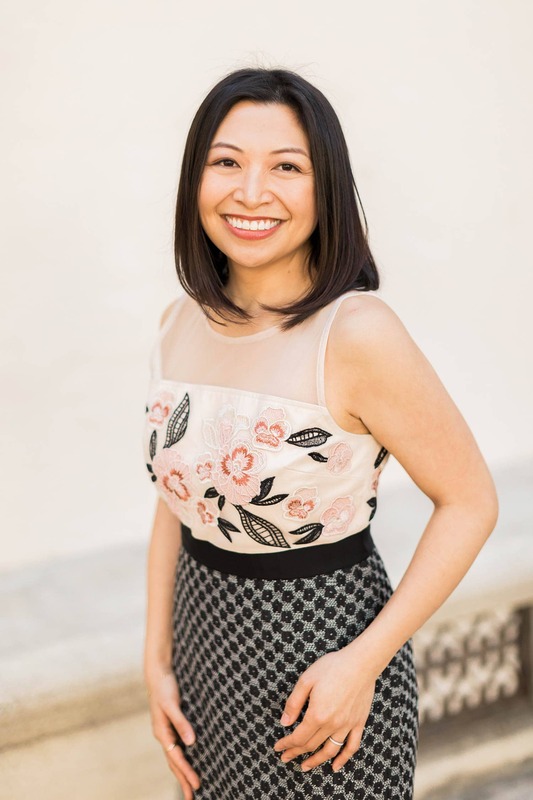 I’m excited to announce that I’m a new a contributor for Better Homes and Gardens Delish Dish blog. Twice a month I’ll be sharing my twist on favorite BHG recipes. 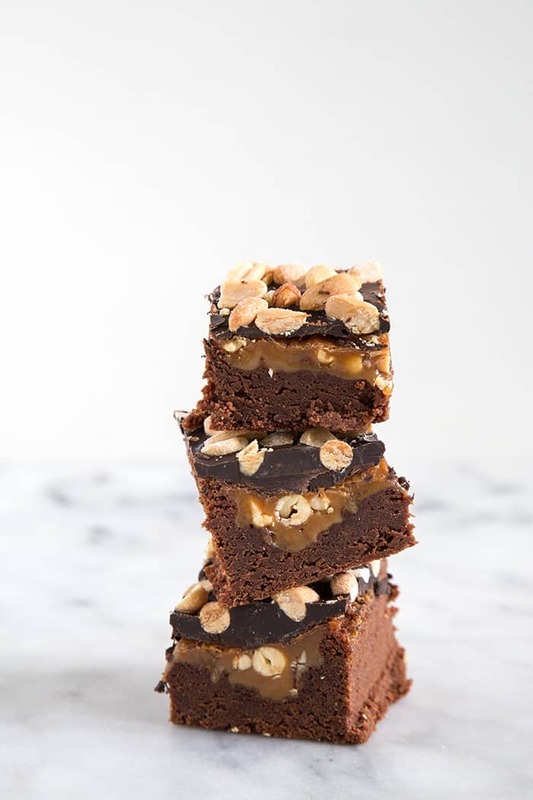 First up are these peanut caramel brownies. I have been a fan of Better Homes and Gardens since childhood. Ever since I found my mom’s magazine sitting on the coffee table I was hooked. I would flip through each issue and daydream about my adult life. I wanted to bake homemade cakes and pies, serve family dinners, and grow a garden that would be worthy of the magazine. And as I got older, I wanted to have one of those beautiful perfectly styled homes complete with two kids, a dog, and a cat. The home and garden part may still be out of my reach at the moment (although I am slowly learning to garden! ), but I do have the cooking and baking part down. Cooking is something that has always made me happy. I love the idea of taking seemingly ordinary things and whipping them together to create something worth remembering. 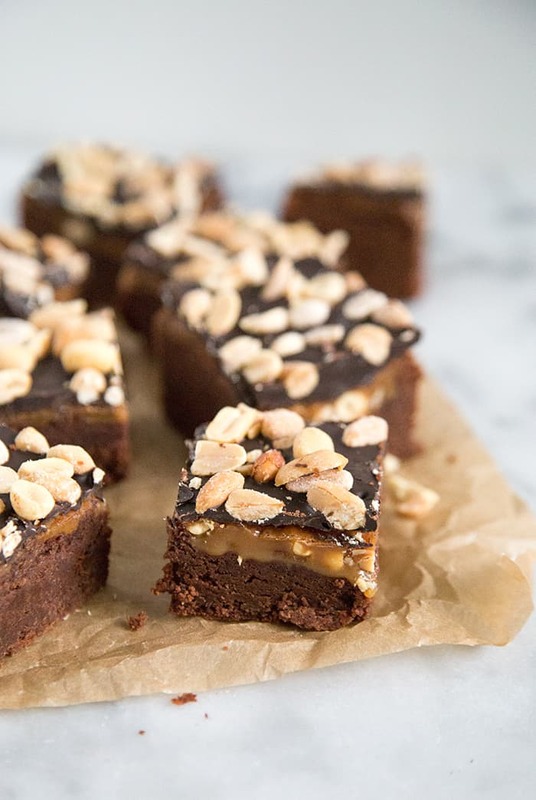 These peanut caramel brownies are just that. Alex and I can’t stop eating them. Even days later, they’re still just as good. This recipe makes a large batch, so you’ll have plenty to share with friends. The combination of peanuts, caramel, and chocolate reminds me of one of my favorite candy bars. You know, the one with the commercials about being angry when hungry (hangry). That’s totally me. 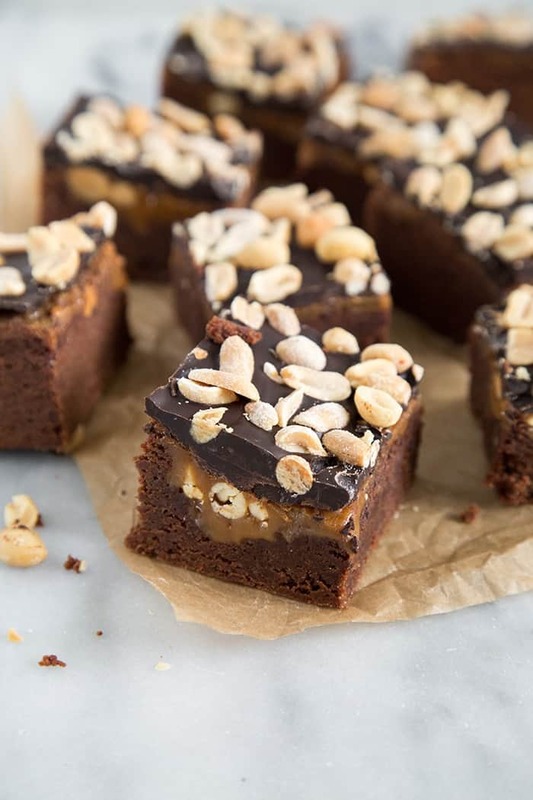 Be sure to slice these peanut caramel brownies into small servings. They’re very rich and decadent. Think about it: cake-like brownie bottom, peanut caramel filling, topped with chocolate and roasted peanuts. Not only is it the perfect treat for getting over any holiday blues, it’s also a winner for this upcoming Valentine’s Day! Preheat oven to 350 degrees F. Line 9x13-inch baking sheet with foil or parchment paper, allowing excess to hang over the edges of the pan. Coat with non-stock cooking spray and set side. In a large bowl, beat together sugar and melted butter. Once smooth, add eggs and vanilla. Mix until well combined. Slowly add dry flour mixture, about 1/2 cup at time. Mix well until there are no longer any dry streaks of flour. Batter will be very thick. Spread batter in an even layer into prepared baking pan. Place unwrapped caramels and milk in a microwave safe bowl. Heat at half power at 30 second intervals for 2-3 minutes. Stir after every interval. Once smooth, stir in 1/2 cup of peanuts. Pour over chocolate batter. Spread into an even layer. Bake for 45 minutes. Remove from oven and immediately sprinkle chocolate pieces over brownies. Allow chocolate to stand for 2 minutes. Using a mini offset spatula (or the back of spoon), spread melted chocolate into an even layer. Distribute remaining 1/2 cup peanuts over chocolate layer. To set chocolate layer, chill brownies in the fridge for 30 minutes. Lift brownies out of pan using the hangover foil (or parchment paper). Cut into desired size pieces. HELLO, lover! These look incredible! I love the combination of chocolate and caramel! I’m putting these bars on my “must-make soon” list! Thanks Joanie! I agree, LOVE the combo of chocolate and caramel! These are rocking my world right now. That layer of caramel…heaven. These look delish Maryanne! Happy New Year! Gorgeous photos! That caramel layer is killing me – it’s so perfectly gooey! Congrats on posting with BHG! So exciting! I would always flip through my mom’s magazines when I was little too! These brownies definitely look like you’re starting things off right :) what a wonderful combination! I LOVE this recipe. Super rich and dense with a nice, caramel flavor. I replaced the peanuts with cashew nuts because I never have any on hand, but the recipe is great either way.